If the sash windows in your period home need attention, Sash Window Experts should be your first port of call. We have over 20 years’ experience in providing specialist sash window restoration services for your period property in Reigate. From restoring period features such as the slide mechanism to reducing noise ingress and preventing draughts, our team of skilled craftsmen will do everything possible to bring your sash windows back to life. The historic market town of Reigate nestled under the beautiful North Downs regularly features among the best places to live in the UK. Reigate has a superb range of properties including Victorian cottages, townhouses, detached Victorian villas and Edwardian family houses near the town centre. The most prestigious period homes are found in North Reigate at the foot of Reigate Hill, in Colley Lane and towards Wray Common. Head to the villages towards Dorking for classic village property and gorgeous country houses. 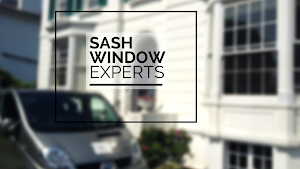 At Sash Window Experts, we have a real passion for preserving our national architectural heritage and offer specialist sash window restoration, renovation and repair services for period and historic buildings in and around Reigate. In every job we carry out, our aim is to make sure you can enjoy the beautiful features of your sash windows with all the benefits of modern window installations without having to turn to alternative contemporary fixtures. Are you worried that your sash windows may be beyond economical repair? No need – at Sash Window Experts, we have specialist sash window renovation methods and experienced craftsmen on hand to manufacture and replicate existing moulding details at our specialist joinery workshop. Can I install double glazing into my original sash window? Yes, this is an option. We completely understand the importance of staying up-to-date with the latest advances in double glazing technology. That is why we also offer double glazed hard or soft wood sashes that maintain the original design and keep all those essential period features intact. Using the existing original box frame, we can simply fit a new pair of double glazed sashes. We offer a replacement and repair service that is designed to prolong the lifespan of period windows and doors. With our skilled craftsmen capable of carrying out precise replacement manufacturing work, we can carefully piece in new sections of timber using specialist moulding techniques to create a matching profile of your existing sash windows. How is it possible to repair window cill decay? Cill decay is a common problem. The cill is the bottom section of the window where most water tends to collect. After a while, the paint will flake allowing water to penetrate into the timber which can quickly turn to decay. If there are any water marks underneath your sash window, your sill may be rotting. Our craftsmen deal with cill decay by removing an existing lower box and replacing it with a new hardboard cill. Instead of replacing an entire box frame, a new cill will provide a good foundation for your sash window, and the job can be completed quickly and efficiently. Window pane damage can occur for many reasons, often lying undetected for long periods. Our experienced team can replace damaged glass on existing sash windows without damaging the original frame. Our comprehensive range of glass replacement units includes a number of glazing oiptions including clear float, laminated, toughened, crown, patterned, sealed and obscure. Finally, in compliance with the security requirements of many insurance companies, we can add a variety of traditional centre catches and locks in a wide range of different colours and finishes to suit your sash window design preferences. To find out more about our sash window restoration, renovation and repair services in Reigate, call us today on 0800 197 0129 or fill out the form on our Contact page and we’ll get back to you as soon as possible.